Spring of 2011 when Kerry first dreamed up the idea of combining his two favorite treats, the first cheesecake stuffed snoball he tried was the red velvet cake stuffed with Cheesecake. It was the natural choice based on the simple idea that the frosting on red velvet cake is actually a cream cheese frosting. The combination was a hit. It soon got renamed, “sno-la favorite” and though it may not hold the title of favorite, it still holds the name to this day. After that first flavor combination, Kerry’s creativity continued. He try and create other specials like the Key Lime Pie, and the Fat Tuesday. But he can’t take credit for everything on the menu. The Tiffany’s Blue Box, Daryl’s Delight, Beam Me Up Scottie, Beam Me Up Mikey, Kev’s Favorite are flavor combinations ordered, inspired, and named after Snola Patron’s. There are also some other great off menu combinations like the Ms. Jackie and the Paige that are still ordered today. 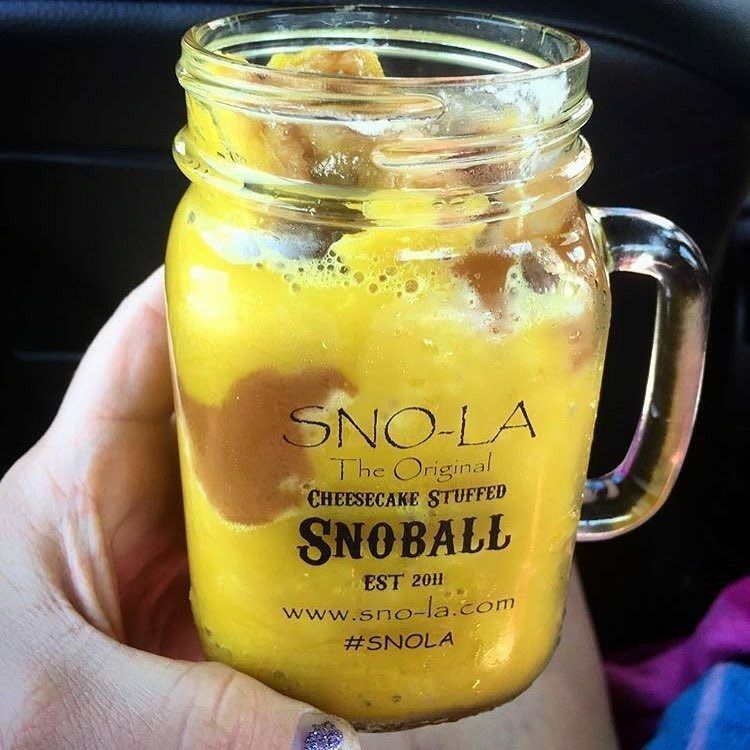 In August of 2015, we released the Chantilly Cake Snowball and Snola suddenly went viral. 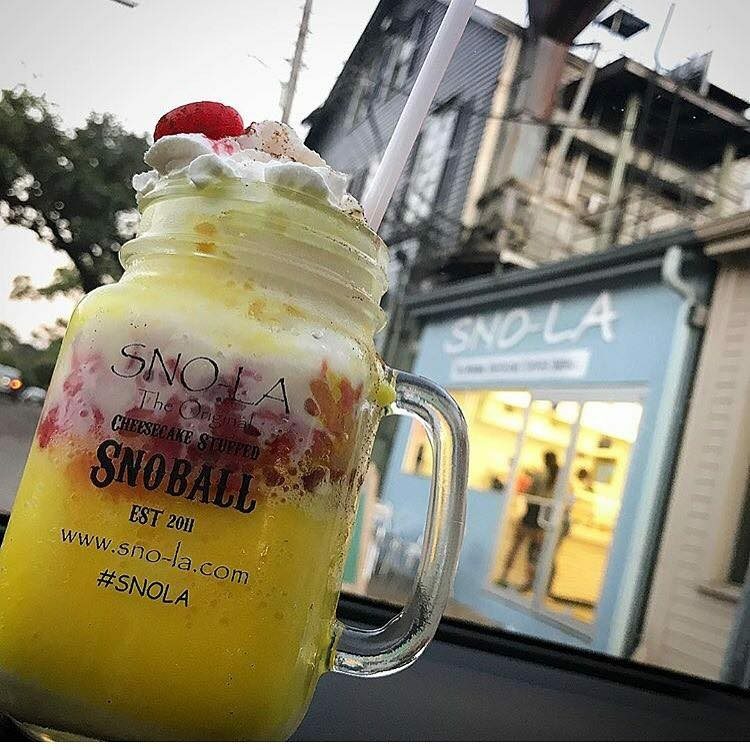 And though there have been many other popular snoballs released since then like the Oreo Cheesecake and the Tres Leches, the Chantilly Cake currently holds the title for favorite Snola Snoball. Over the years, cheesecake stuffed snoballs have now spread to other stands in the city. But they are not the same as Snola’s cheesecake. All of our cheesecakes are made in house. Kerry still has dozens of flavor combinations and specialty snoballs yet to be released. What makes a good snoball? Some people will say it’s all about the ice. Snola would say, it’s definitely about the ice, but it’s really all about the experience. Having soft ice is a must. But if you have soft ice and no good flavors, then it can’t be a good snowball. If you are not from New Orleans, you may come in thinking you are getting a snow cone. Most anyone in the city will promptly correct you and tell you it’s not a snow cone, it’s a snow ball. Snow Cones are known for their hard crunchy ice with lightly flavored syrup. Snowballs are an entirely different thing. Soft, finely shaved ice that melts in your mouth. The flavors are decedent with endless choices with something for just about everyone. There are simple traditional flavors like strawberry, grape, orange, lemonade. 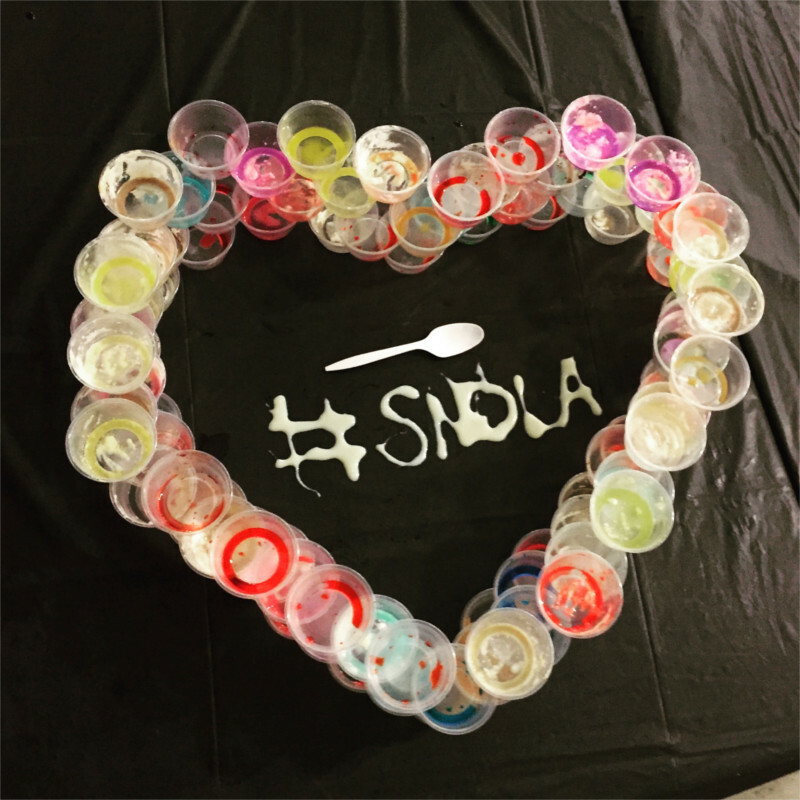 And then there are Snola flavors like the Chantilly cake- wedding cake cream, strawberry, cheesecake, fresh strawberries and blueberries, and a topping of whipped cream or condensed milk. There is nothing that beats the heat of a New Orleans summer like the cool, refreshing finely shaved ice of a good New Orleans Snoball. Some people think that Snoballs are for kids, but their is no age limit to enjoy a snoball. You are never too old to have a blue tongue from a bubble gum snoball in the city of New Orleans. Snola Loft is an affordable room rental that can easily be used as a private meeting or party space. The space can accommodate a maximum of 50 people for any one event. It is a great space for baby or bridal showers, engagement parties, football parties and more. It’s also an excellent space to host a continuing education class or any other work meetings. Projection screen available on request for an additional fee. In the spring of 2011, Kerry Crossley told his future wife, that he wanted to have a snowabll stand one day. Her response was, why one day? Why not today? There is no better day than today since tomorrow is never promised. “If it doesn’t work out, we have our whole lives left to fix it!” We would like to say and the rest was history, but truthfully, it is just the beginning of history in the making. And so the search, the process, and the creativity began. Kerry knew that he couldn’t be just another snowball stand, especially not in New Orleans, the city where snowballs originated, and especially when you have legendary stands to compete with that have been open for 50+ years. Kerry was an avid snoball fan, but he knew he had to have more than just a good snoball. He started to think about the things that were important to him in a snoball. Every December, Kerry was disappointed when it was 80 degrees in New Orleans and there was not an open stand in sight to get a snowball. That was his first goal, snowballs all year. The best way to have snoballs all year is if you are inside and the weather can’t affect you. He had always envisioned a place where you can sit and enjoy your snoball without bringing a syrupy mess into your car. He wanted to have a place with music and wi-fi, games and birthday parties, and the ideas kept flowing. He knew he wanted to serve his two favorite treats, snoballs of course, and cheesecake. He and his wife Monika, then concocted the concept of putting the two together. But it couldn’t just be a slice of cheesecake in a snowball because Kerry himself couldn’t consume a slice of cheesecake and a snoball. The concept was for the cheesecake to accent the snoball, not replace it. The first cheesecake stuffed snoball they every made was the Snola Favorite- Red Velvet Cream stuffed with Cheesecake. That was it, they had their unique concepts, and their business model. Sno-la was originally located off of Veterans on Lake Villa. In 2013, they were invited to serve snoballs for the Super Bowl. Business was picking up and the line was growing each day. In 2013 they created the concept of the Snoball Tastings. Snola had started to gain considerable notoriety and in May of 2013 had their first television appearance on News with a Twist. By July of 2013, they were forced to close their doors when the space they were renting was sold to be turned into a parking lot. With no other home, Sno-la remained closed. Kerry and Monika received messages weekly about when they would be reopening. They were stopped by complete strangers trying to find out when Sno-la would reopen. With so many requests, they felt it was wrong not to reopen a business that had a demand. And though their spirits were broken after their first location closed, they decided to reopen and found another location. 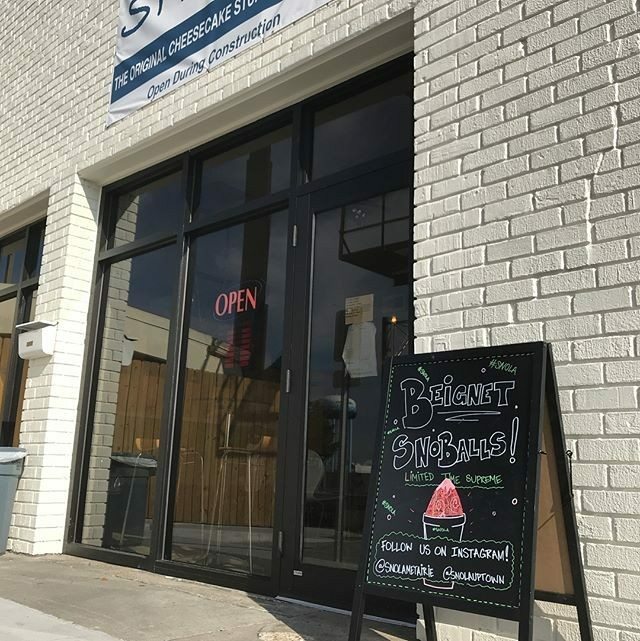 Snola reopened in 2014 at 2311 N Causeway in Metiaire and has been working to grow their business by striving for excellent customer service, consistent creativity, and of course soft ice, ever since then. The business is still young but continues to grow. In 2016, they opened Snola Uptown. Snola has now been featured on every major local news station, and has aspirations of one day being recognized as one of the Best of New Orleans. Finely shaved ice sweetened with different flavor options. A New Orleans staple! What is a cheesecake stuffed snoball? A Sno-la original. It’s a twist on the traditional New Orleans snoball by stuffing the center of the snoball with a scoop of crust-less cheesecake. 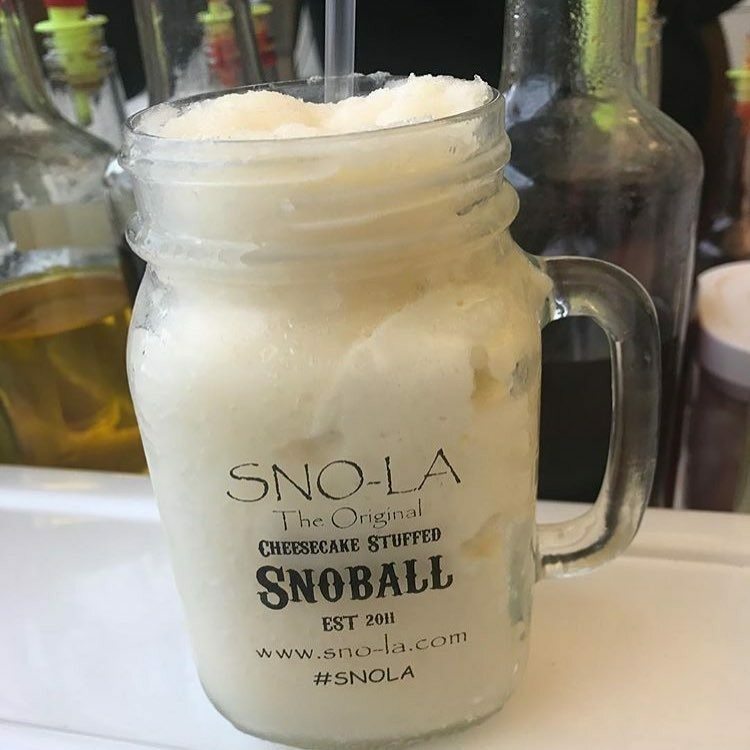 Sno-la was established in 2011 when we created the concept of the cheesecake stuffed snoball. Does it cost more to have a snoball stuffed with cheesecake? Yes. The price will vary based on the cup size and type of snoball ordered. How do I get a SNO-LA mason jar? Any of our snoballs can be made in our signature mason jar, just step up to the counter and place your order. Do I get to keep the mason jar? Is the SNO-LA mason jar reusable? Yes. Bring any of our Sno-la mason jars or Mardi Gras cups back and receive a discount off of your next purchase. Can I bring in my own personal cup/glass and have a snoball made in it? No. 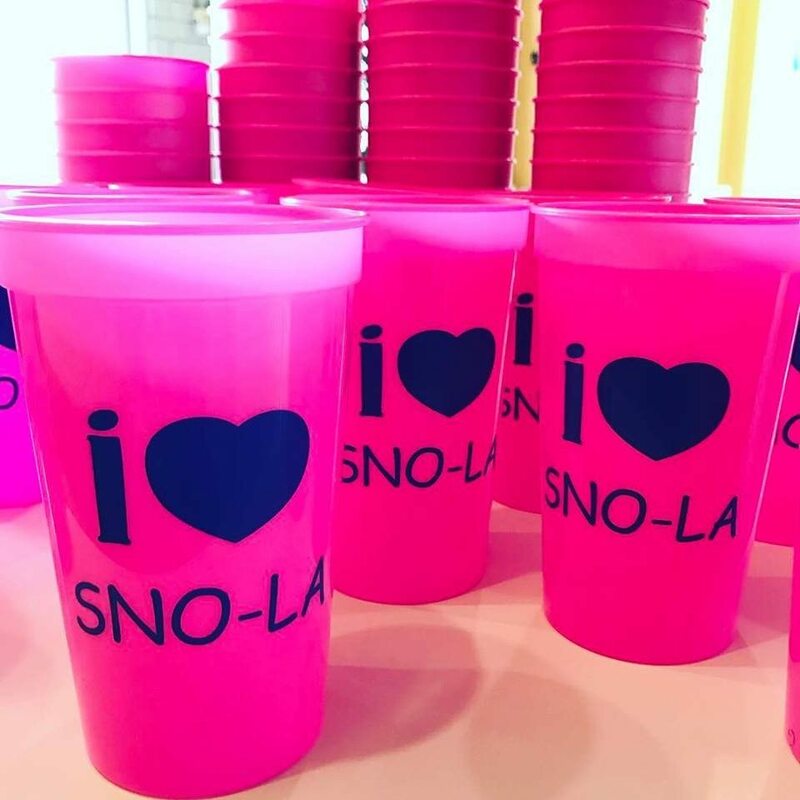 We will only make snoballs from our normal cup selections or SNO-LA branded reusable cups. If I order a larger size snoball, can I have it made into two smaller cups (split portions)? We do not offer split portions but we will provide an extra cup upon request. Yes, download the SNO-LA Snoball Mobile App, on iOS or Android, then register for our free loyalty program. Yes. We offer off site catering for weddings, festivals, parties and other special events. Please contact us for pricing and availability. If I do not like the snoball I order, can I exchange it for a different kind? No. As a courtesy, we do allow customers to sample a flavor. So if you’re on the fence about how a flavor tastes give it a try. You are allowed to change your flavor if we have not started making your order. Customers are entitled to a refund of their purchase upon request, if we have not started making the order. Once the snoball has been made, it is your choice what you do with it if you decide you no longer want it. What is the minimum age required to work at SNO-LA? Not at this time. However, feel free to send us an email and we can add you to the list of franchise requests if we decide to expand. Can I order just the cheesecake? 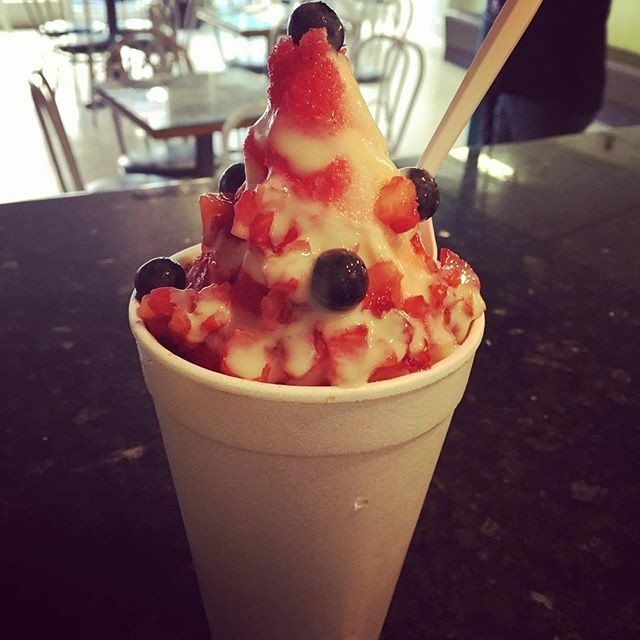 What’s your most popular snoball? The Chantilly Cake, Tiffany’s Blue Box, Tres Leches, & Oreo Cheesecake are the top sellers, but most of the menu is pretty popular depending on what time of year it is.